The church is not a kingdom of this world, it is a ship of salvation. And this is underlined from every side and every detail. This also includes the vestments of the clergy. If you see a tall bearded man in black long robes with a cross walking along the street you immediately understand that it’s a priest. You see a bishop in full vestments at a service and you think – here he is, truly resembling the Lord in His majesty and glory. 1. The Mitre – a burial napkin or the crown of thorns of Christ? This is that instance when a number of theological interpretations given on the subject of vestments by the Church, would not even come to mind of person who is new to the church. The Mitre is often symbolically associated with the crown of thorns places by Pilate’s legionaries on the head of the Savior or with the burial napkin- a special piece of cloth that covered the head of Christ during His burial. 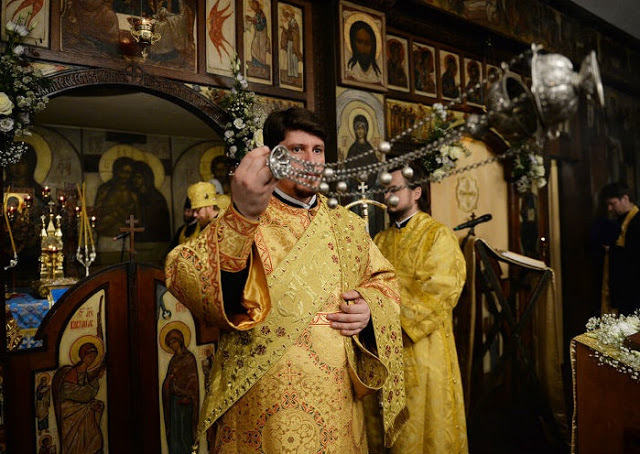 However when looking at the beautiful, lavishly decorated crown on the head of a bishop or an archpriest, you begin to think of it as more of a symbol of spiritual power than as an item attributed to the Passion of the Lord or even a funeral veil. Such an understanding can be justified with another symbolic interpretation which centers around the liturgical band worn by the first bishop of Jerusalem, James, who was the Brother of the Lord or to the headdress of the high priest. Also the mitre serves a prefiguration of the golden crowns, with which the righteous will be wedded in the Kingdom of Heaven. 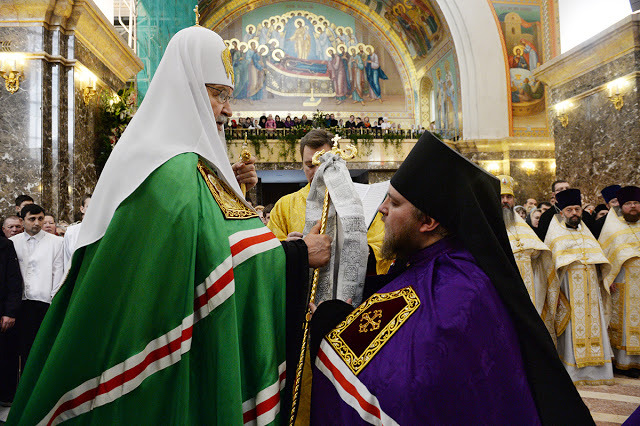 In the Russian Orthodox Church, mitres are also given to priests – as a particularly high honor and as an award. Such priests are referred to as mitred priests. The hierarchical mitre is distinguished from that of a priest by having a small cross on top. It is interesting that in the Alexandrian Orthodox Church, even altar servers are allowed to wear a mitre, the Catholic pope wore a tiara (a certain version of a mitre) with three crowns until the second half of the 20th century. 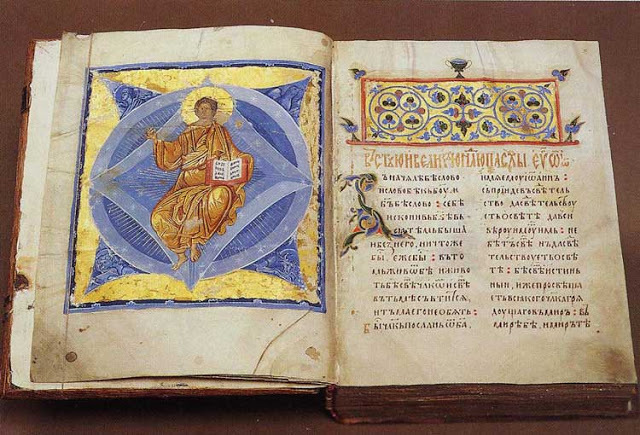 It served as a symbol of his triple authority over the Vatican and the whole Church (one of the primary reasons which lead to the Great Schism in 1054) and supreme authority over the sovereigns of Europe. 2. The interesting top of the Russian phelonion. The theological interpretation of this part of the priest’s top vestment can be compared to the bishop’s omophor: the priest is the good shepherd who zealously watches over the flock entrusted to him by the Lord and who is not ashamed to place the lost sheep upon his shoulders. Why is this? 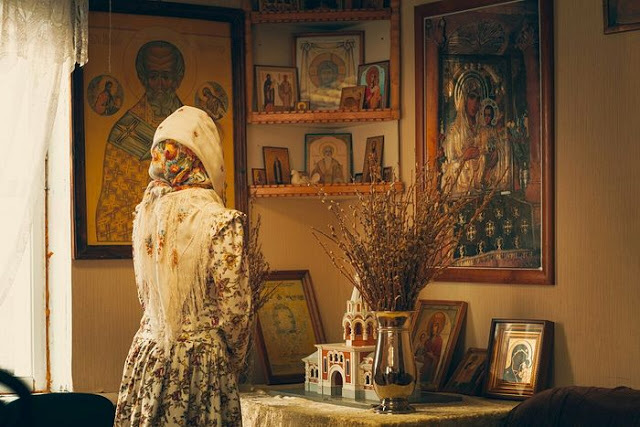 Because in Greece, churches are located in a warm climate that extends even through the wintertime, but before there was indoor heating the Russian churches could get very cold. 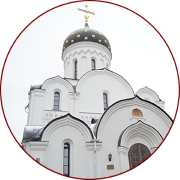 Until the XVII century, Russian churches were not heated and in the wintertime they were filled with cold draft winds. Even the parishioners would attend divine service in fur coats. 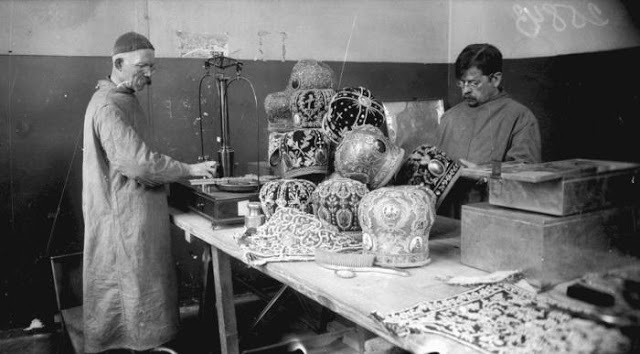 That is when the stiffened or standing collar appeared on Russian phelonions. It was minimal protection at least so that the priest’s neck would be protected from cold drafts. Some even attributed the growing of long hair or having a “tail” as an additional protection from the inclimate weather. 3. Sulok (Crosier mantle) on the Bishop’s staff. 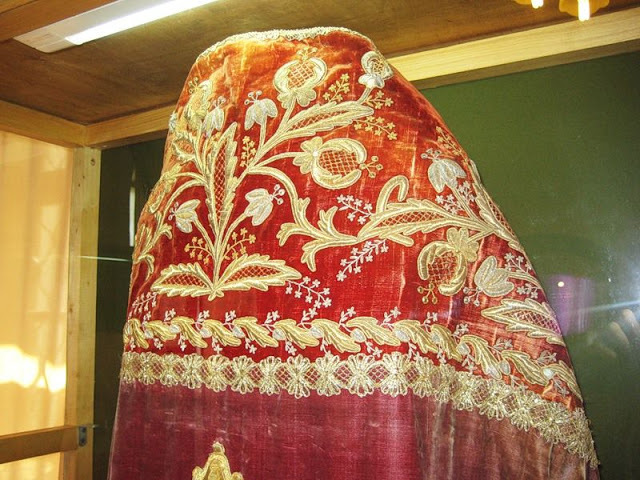 This particular vestment piece is most commonly seen in Russian Orthodox churches and can also be attributed to the cold climate. Liturgical staffs were often made of precious metals. Keeping this in mind, bishops would often have to serve outdoors. One such example can be the blessing of the water during the Feast of Theophany. Obviously, touching the cold metal at the same time would be quite unpleasant. This is why in the middle of the XVII century, a sulok was invented – a special rectangular fabric which would be folded in half and tied under the crossbeam of the staff. The lower part separated the bishop’s fingers from the cold metal, and the upper part protected the bare hand from the frost. With the passage of time, the sulok became a common church decoration, and sometimes as an award to the hierarch. Today the situation is different because all Russian bishops have them on their staffs, and the staff without a sulok is designated only for the patriarch. In terms of its theological meaning the sulok symbolizes the Divine grace that covers the human infirmities of the bishop while in charge of the Church. 4. Limited to black undercassocks? Among the majority of Russians, for some reason, there is a common opinion which exists that priests’ undercassocks(cassocks) need to be black and only black … Just like Henry Ford cars. This is far from the truth. 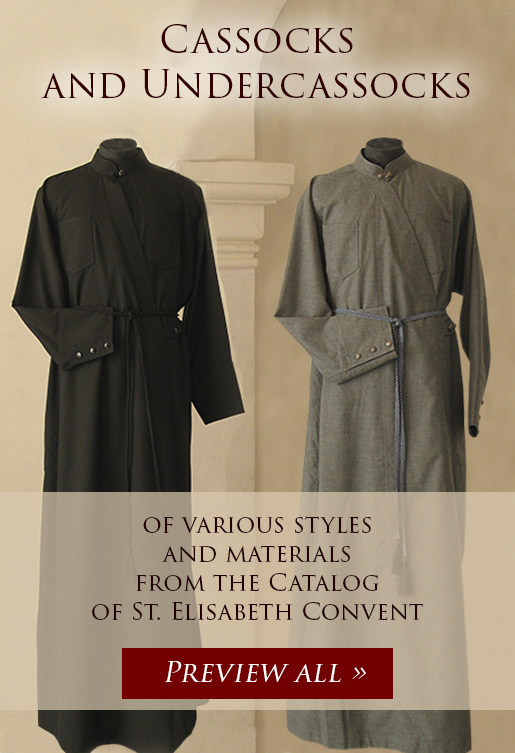 Black cassocks are worn, mostly by monks. This color of vestments symbolizes repentance and sorrow for the committed sins (therefore, the black liturgical vestments are used during Lent), and monasticism – the rank of those who are repenting. Married (also called “white clergy”) priests are free to choose the color of their undercassocks and in everyday life can wear various colors including black, gray, light gray (almost white) or purple. At the same time, since the XVII century, there was a tradition among priest from Cathedrals and church located in large cities which entailed wearing cassocks that would match the current feast day color . Accordingly, they are red or white(on Pascha), green (on Pentecost), blue (on the feasts of the Theotokos), white (for the Transfiguration of the Lord and other feasts of the Lord) and gold and all other symbolic colors in the Orthodox Church. 5. Are there priests without a cross? When it comes to the Russian Orthodox Church then the answer is definitely not. We are all used to the fact that the priest, even if outside of the church, still wears vestments that we can call the bare minimum – pectoral cross and cassock. But until the end of the XIX century, the priests’ crosses were an exception rather than a rule. 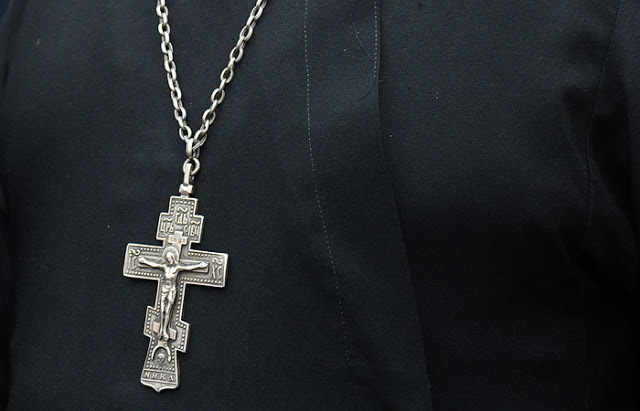 Until the eighteenth century, only bishops had the right to wear pectoral crosses. The cross on their chest served as an indication that they are servants of the Lord Jesus Christ, who suffered for our sins, must have Him in their heart and follow His example. In the late XVIII – early XIX century priests were awarded crosses only in special cases. A decree of the Holy Synod on February 24, 1820, grated Russian priests serving abroad to wear special gold crosses given by the Czar. Sometimes they were also allowed within the country for priests with high honor and as an award. If we look at the portraits of the priests from the Crimean War, we can see that some of them have 1-2 crosses on cloth tapes over their chests. These crosses were awarded for valor and given only to those priests who served within the military. Around the same time we begin to see modern crosses with decoration which served as a award that bishops would give to clerics of their dioceses. Therefore a priest from the 18th century would not have any pectoral crosses, and by the nineteenth century a priest could have up to 4 such crosses. Finally, in 1896, Czar Nicholas II, signed a decree on May 14, which introduced a priestly pectoral cross as a “sign of the distinction for every priest and hieromonk.” This customary silver eight-pointed cross has since been given to every new priest during his ordination. Over the years and various merits, it could be replaced by a four-pointed golden cross and then, in turn, with a cross with decorations, in accordance with the will of the bishop. Nowadays we can also come across an additional cross but only as a special award given personally by the patriarch. It is distinguished by the shape which includes rays of light and has a mitre on its top. In the second paragraph, you have "sacrilegious" and I think you mean sacred. The English word sacrilegious means blasphemous or unholy.